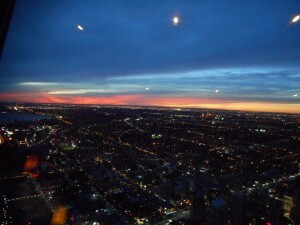 We arrived in broad daylight and the pictures that follow show the changing panorama as the restaurant slowly revolved. 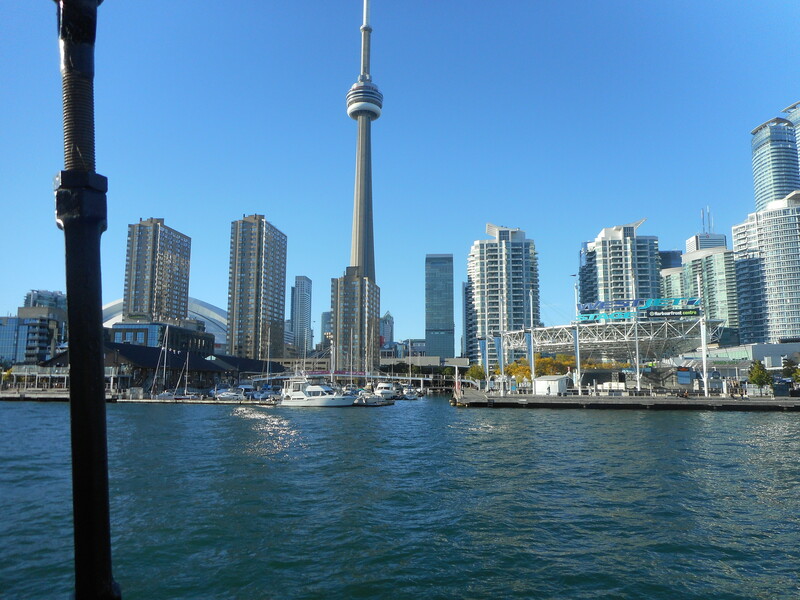 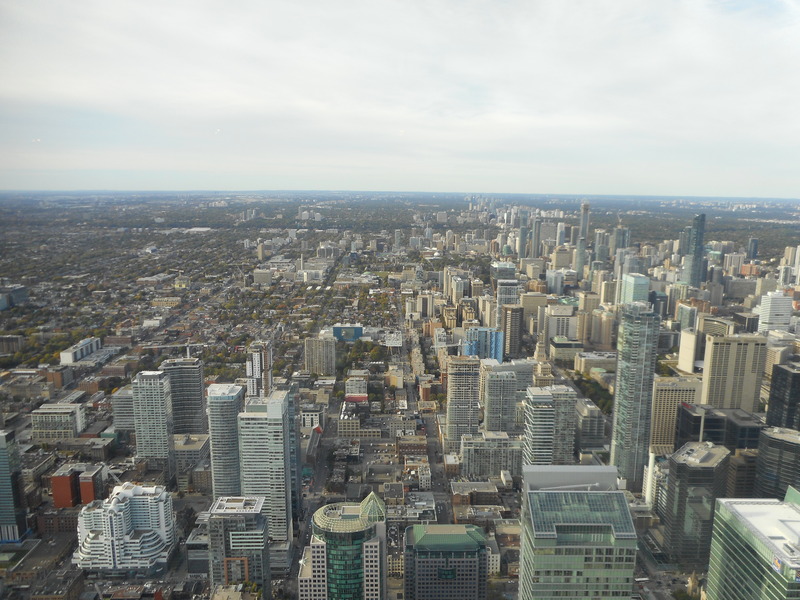 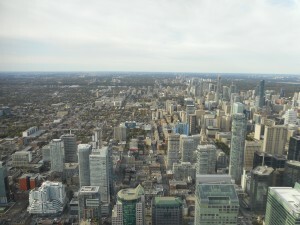 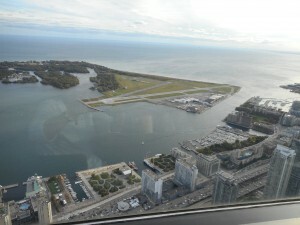 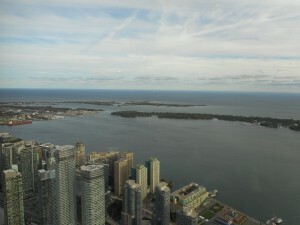 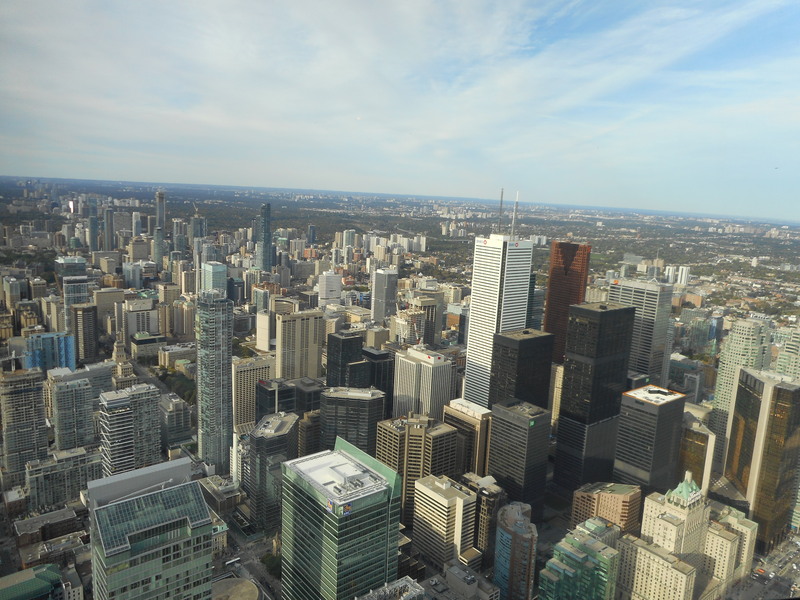 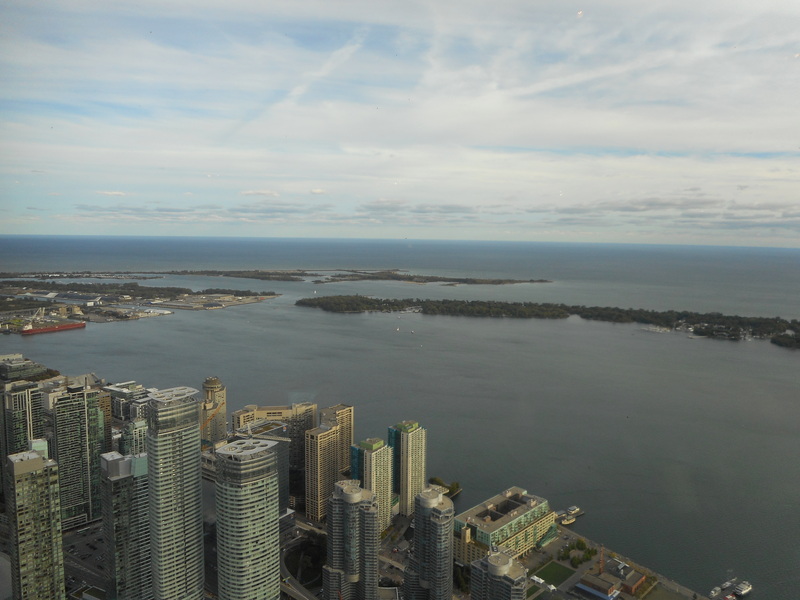 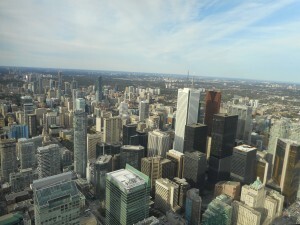 The CN Tower is, in our opinion, a “must do” when visiting Toronto. The final picture on the right shows downtown Toronto from Lake Ontario and the CN Tower which gives a good feel of it’s height in relation to the tower blocks.